The Department of Chemistry was established in 1950 under the headship of Sri.Subramanyam Shastry. Since then the department has maintained high academic standards throughout. The department has full fledged laboratories and highly experienced teaching faculty. The department has to its credit the post graduation centre in General Chemistry since 2011. Dr.B.Nagaraja Reddy is the Coordinator of the Department of Post-Graduate studies in Chemistry. This apart twelve students are persuing Ph.D. The department has conducted National level seminar, workshop in 2011 during International Year of Chemistry. Conducted industrial visits for the students to obtained their understanding and exposure to the practical aspects of Chemistry. Presently, the department has three doctorates as faculty. 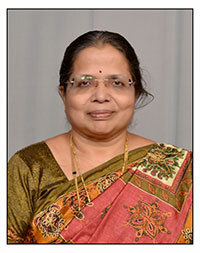 Smt.S.M.Sudharani is now heading the department. The department has to its credit few eminent alumni like Prof. U.R. Rao, Smt.Sudha Murthy etc. Maintained over 90% pass percentage for the last three years. The department takes the feedback from the students to maintain / strengthen its teaching standards. To have a comprehensive and basic knowledge in all branches of Chemistry so us to produce highly skilled and knowledgeable graduates and post graduates. To strive for updation of teaching tools and skill development.